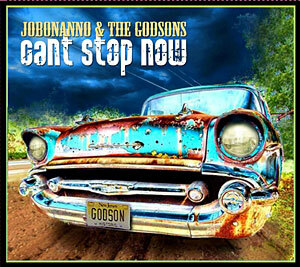 JoBonanno & the Godsons "play soul-drenched, proudly retro rock 'n' roll in the Jersey bar-band tradition of groups like Southside Johnny and the Asbury Jukes and La Bamba and the Hubcaps," writes Jay Lustig in the Star-Ledger. Their new CD was recorded during the winter and spring of 2008-2009 at LakeHouse Music in Asbury Park, NJ. The album benefits from a maturity in songwriting over the group's 2003 party record Turn Up the Heat as well as the precision of ensemble execution that results from playing hundred of gigs all across New Jersey for many years. Gary U.S. Bonds adds his distinctive vocal style to the R&B-flavored "Every Note I Play."